You can’t drink all day if you don’t start in the morning. If you’re anything like me, sometimes you have those days where you just want to sit around all day and do nothing. 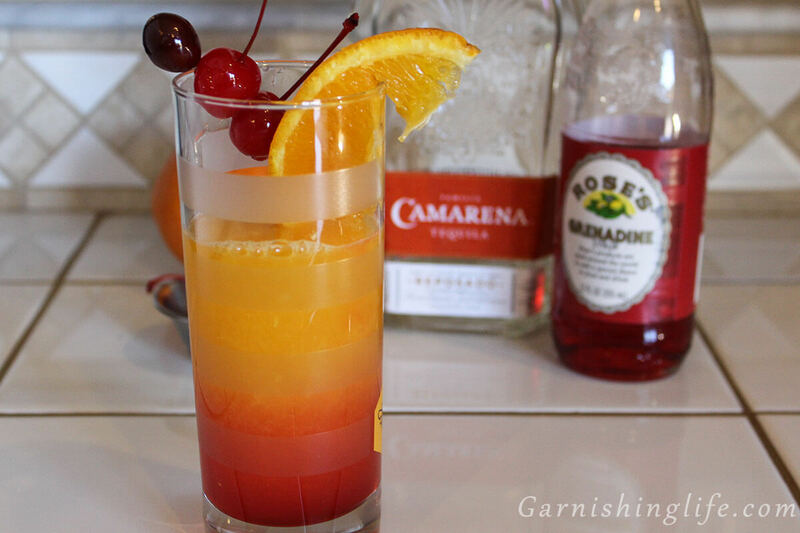 To help kick that off why not start with a tasty tequila cocktail, the Tequila Sunrise. 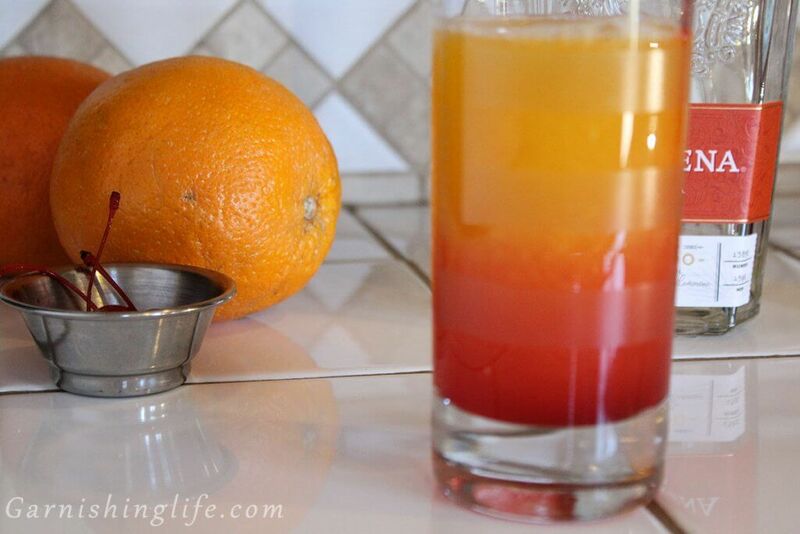 This drink is primarily orange juice, so let’s be honest, it’s practically breakfast. I always hear that a well-balanced breakfast is important, here we have oranges AND cherries, that makes this healthy, right? 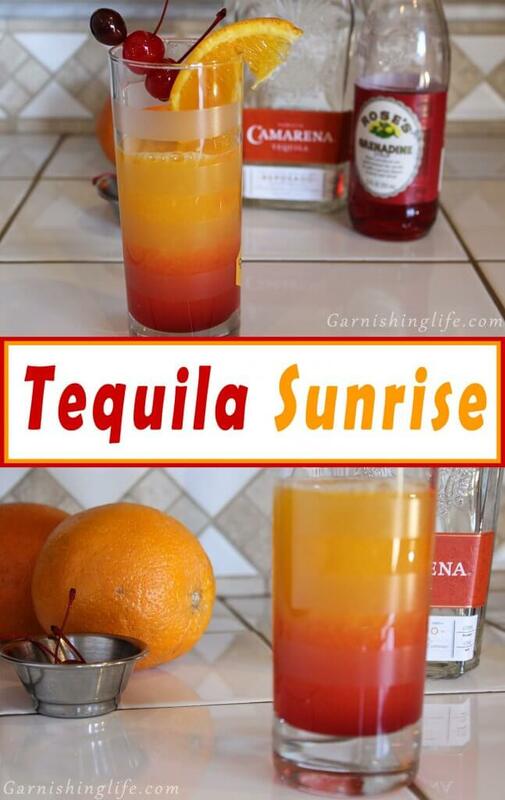 The Tequila Sunrise has a pretty simple build to it. As I shared in my Classic Margarita post, we bought a citrus juicer. So of course, I had to do fresh squeezed orange juice on this drink. For one drink we need about 3oz of orange juice, but you can scale that up if you’re serving more than one person (or if you just want to double up so you’re not back at your bar again so quickly). 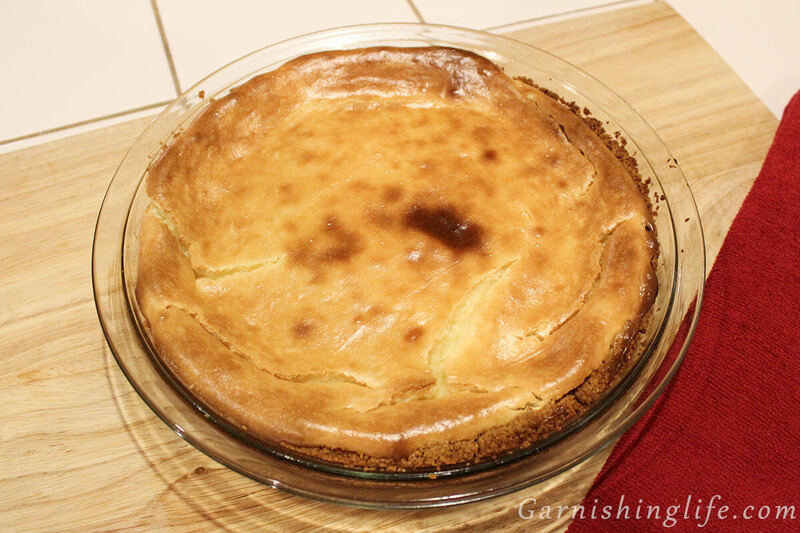 As with the Classic Margarita, I used Reposado Tequila. I just think it has such a unique flavor profile, so I’ve made it a staple in our liquor cabinet. So you’ve got your orange juice (fresh or store bought) and you’ve got your Reposado Tequila, now you need to add both to your glass of choice (I think it looks the best in a highball glass), ice optional here. I like to give this combo a quick stir to mix the tequila and juice. Now comes the (sometimes) trickier part. In order to get your Grenadine to drop to the bottom without mixing into the drink, turn a spoon over and slowly pour your Grenadine over the back of the spoon allowing it to ride the side of the glass down to the bottom. Now if you’re lazy, like me most of the time, you can just allow this to mix but chances are you’ll end up with an orange drink, but it all tastes the same am I right? 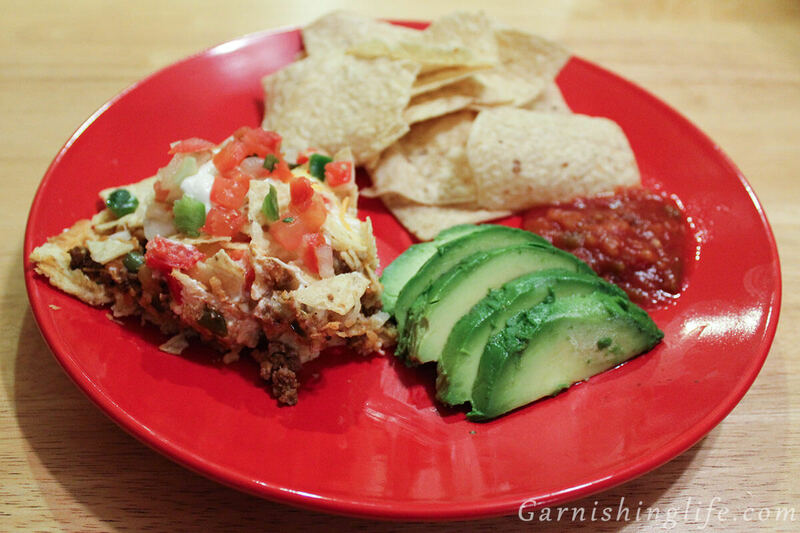 Now that the tricky part is out of the way all you have left before you can enjoy this delicious concoction is the Garnish. The most obvious Garnish is an orange wedge and a couple cherries. I like to drop the cherries into the drink to soak up all the flavor, then when the drink is gone, you get a little dessert! 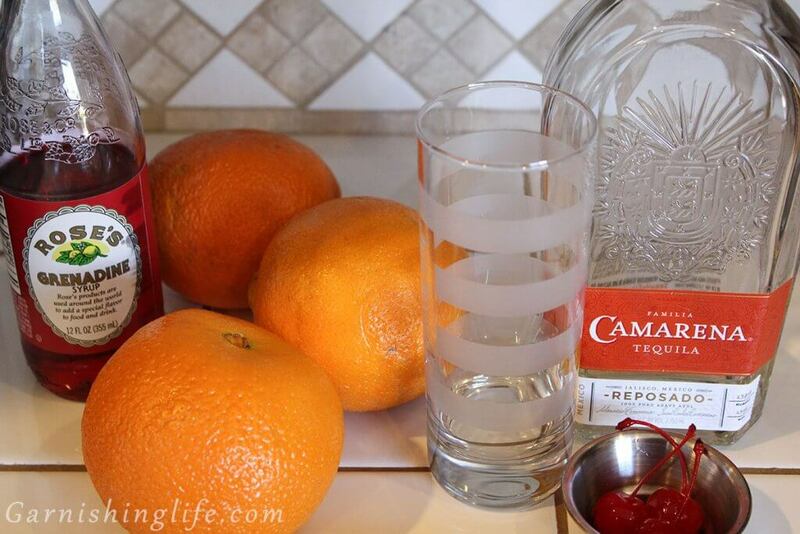 Add tequila and orange juice to a highball glass, ice optional. 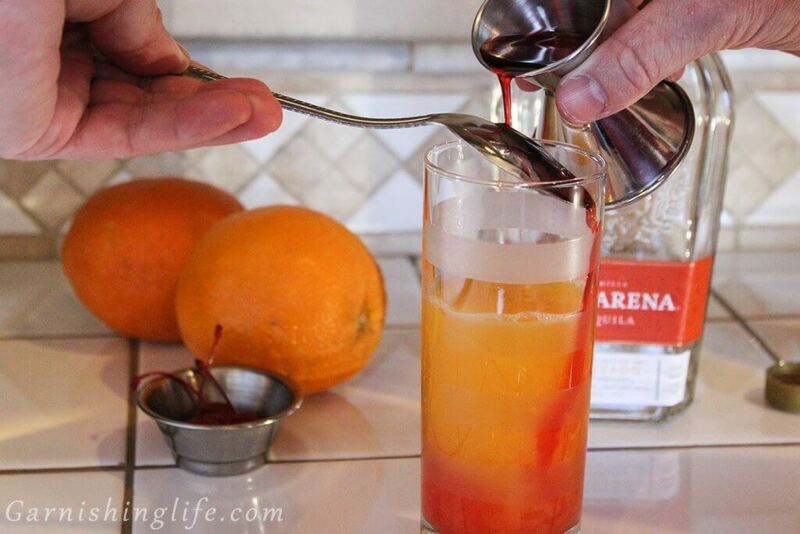 Take it slow when pouring the grenadine so it doesn’t mix into the drink. 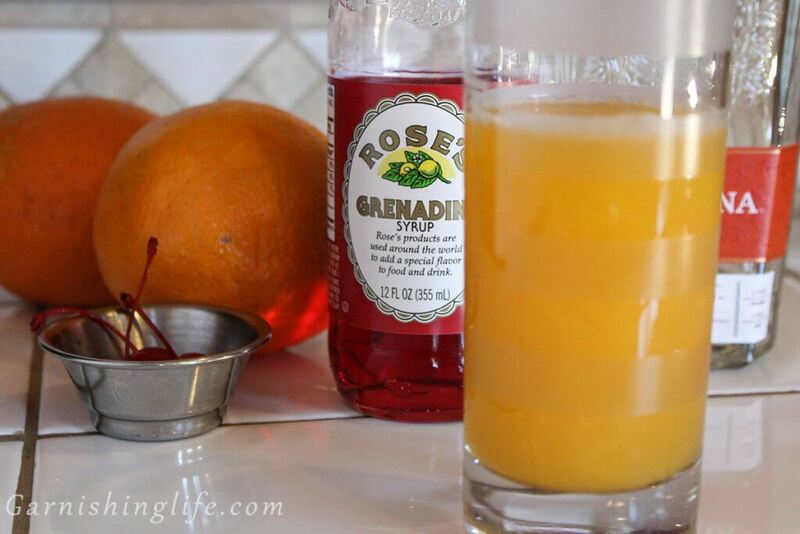 Use freshly squeezed orange juice for that extra note of flavor. Haven’t had one of these in a long time!